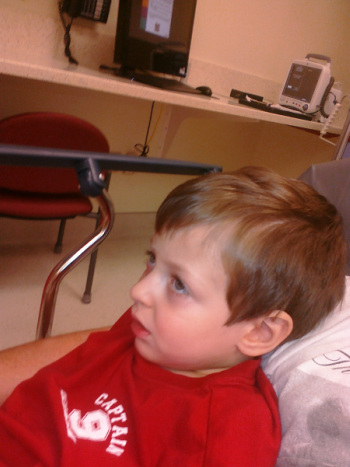 Monday night we had to take Parker into the ER because he spiked a 103 degree temperature. One of the main concerns with them getting their port-a-cath is if they do develop a temperature then we need to have them taken in immediately to make sure that there is no infection of the blood taking place. If that ever did happen…that wouldn't be fun for anyone involved especially the little men! Thank you to everyone that has kept us in your prayers!